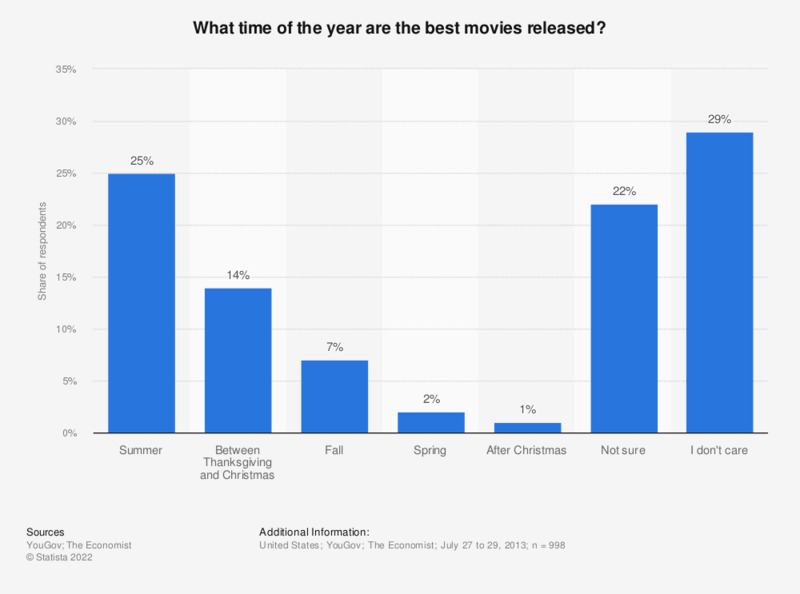 The statistic presents the results of a survey carried out among adult, U.S. consumers regarding the time of the year when the best movies are released. In July 2013, one percent of respondents stated that the best movies were released after Christmas. The source does not provide information about the type of survey used.